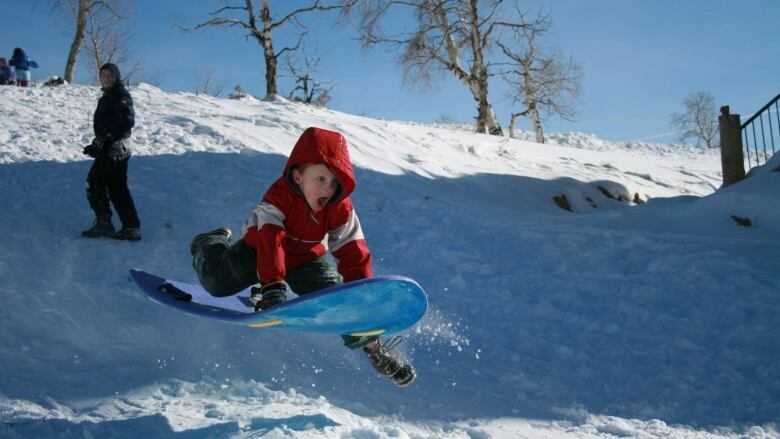 Ask any Canadian what her favourite part of winter is and, chances are, they’ll say tobogganing. Although long considered a fun pastime, one Manitoba father says tobogganing is dangerous and the time has come for a toboggan registry. Ask any Canadian what her favourite part of winter is and, chances are, they'll say tobogganing. Although long considered a fun pastime, one Manitoba father says tobogganing is dangerous and the time has come for a toboggan registry. In his interview with This is That, Russ Widdicombe shared his concerns over this unregulated pastime: "For too long we have allowed people to operate toboggans without any accountability," said Widdicombe, "we need sleds of all kinds to be insured so when there is an incident on a hill, other tobogganers have the ability to take legal action." Widdicombe went on the explain how he believes operating a toboggan is no different than driving a car and should be treated as such. Listen to his interview to learn more about his plans to regulate this beloved Canadian activity.